Nightingale Opticians will dispense any current prescription. A member of our team will come to meet you with a selection of our frames at a time and place to suit you. 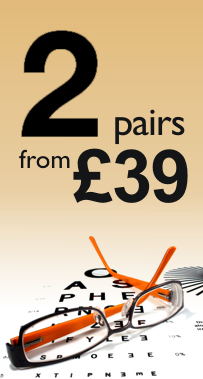 NHS vouchers can be used against the cost of spectacles as in any High Street Opticians. The vast majority of our spectacles can be engraved with patient name, date and intended use so that there is no confusion as to what we are supplying. Our aftercare and delivery services ensure that spectacles are delivered in perfect condition and adjusted to fit each patient individually. Vision through the spectacles will also be checked at the point of delivery to ensure that the patient can see as well as expected through them. Each order comes with a complimentary case and cleaning kit. NB: NHS vouchers can be used against the above prices where applicable. *Private eye examination fee only applies to those who do not qualify for NHS exemption.